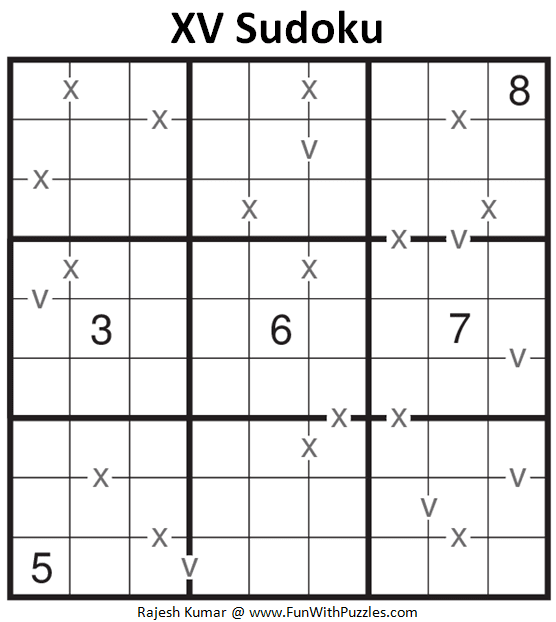 XV Sudoku Puzzle is one of my favorite Sudoku Type. I love to create XV Sudoku Puzzles. This Sudoku type regularly appears in many online Sudoku completions and XV Sudoku is now part of almost every World Sudoku Championship. Here I am publishing one of XV Sudoku puzzle which I created almost year back. 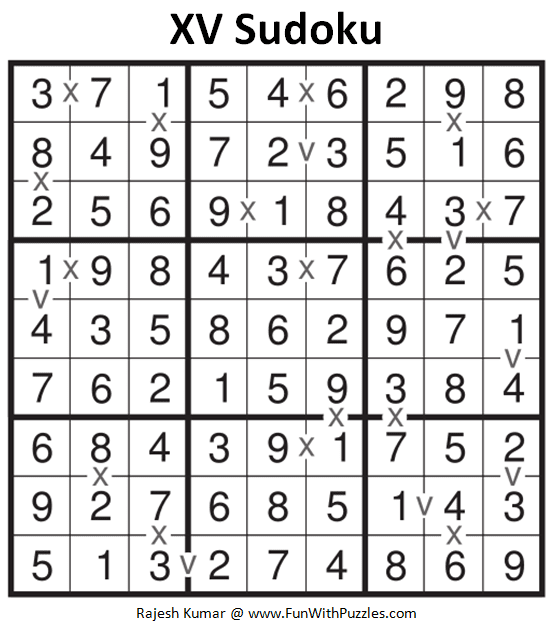 This XV Sudoku Puzzle I am publishing as part of Fun With Sudoku Series as 273rd Sudoku Puzzle in this Series. 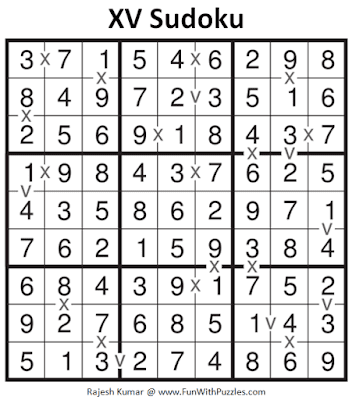 This XV Sudoku Puzzle I am publishing as #273rd Sudoku puzzle in Fun With Sudoku Series. Here are the next and previous Sudoku puzzles published in this series.